You never hear the phrase “bed of roses” in a positive light, but Hyatt Palm Springs aims to change that. 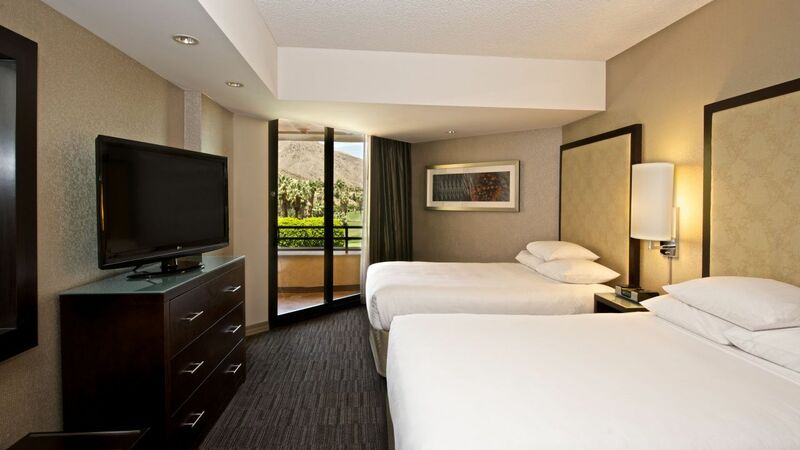 Rooms feature beautiful marble bathroom countertops and whirlpool Jacuzzi tubs, refrigerators and coffeemakers, two 42” flat-screen TVs—Palm Springs accommodations have never been better. And while our beds might be free of roses, they certainly retain the soft feeling of the petals. 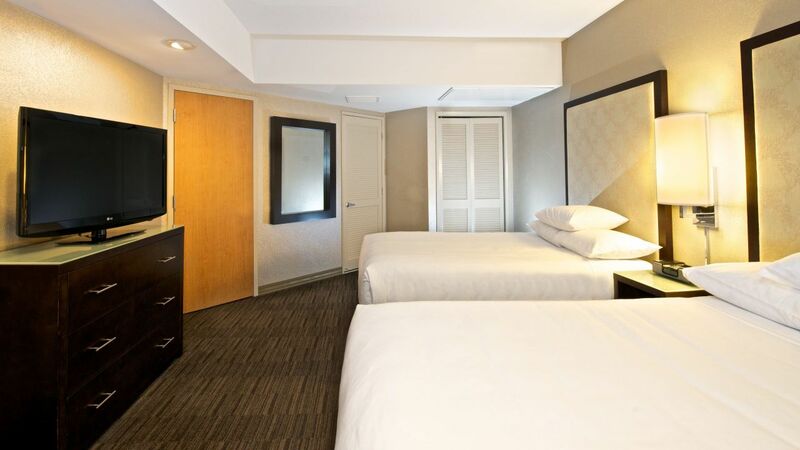 Your sound night of sleep on a plush Hyatt Grand Bed® comes complete with noise canceling ear plugs, and our all-suite hotel means that every room offers 200 square feet of extra space compared to our competition. 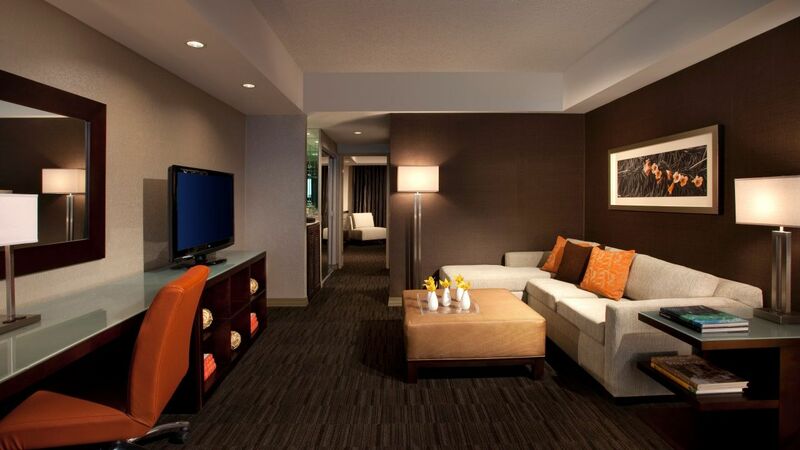 Our VIP Suite is 200 sq. ft. bigger than any other accommodations in Palm Springs. 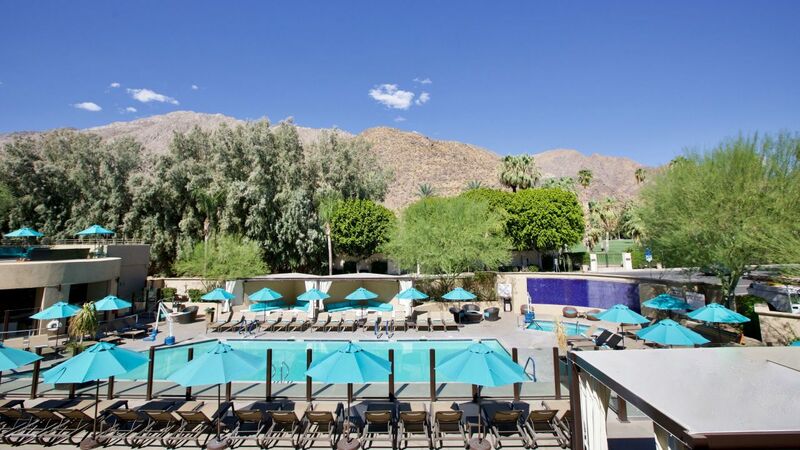 Fall in love with the king-sized Hyatt Grand Bed®, opulent amenities and three balconies with views of our pool and the San Jacinto Mountains. This is a premium suite. See World of Hyatt program terms for upgrade eligibility. 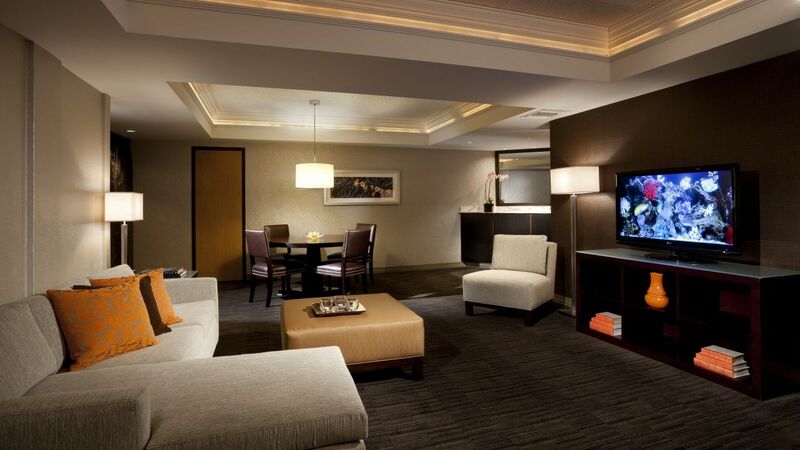 The Executive Suite features one king-sized Hyatt Grand Bed® and 1,040 sq. ft. of intimate balconies, living areas and bathrooms with a Jacuzzi tub and standalone shower. This is a premium suite. See World of Hyatt program terms for upgrade eligibility. There’s nothing like our 606 sq. ft. Cabana Suite, a unique poolside unit with a private patio and direct access to cocktail services and romantic dinners from our outdoor bar. This is a standard suite. See World of Hyatt program terms for upgrade eligibility. 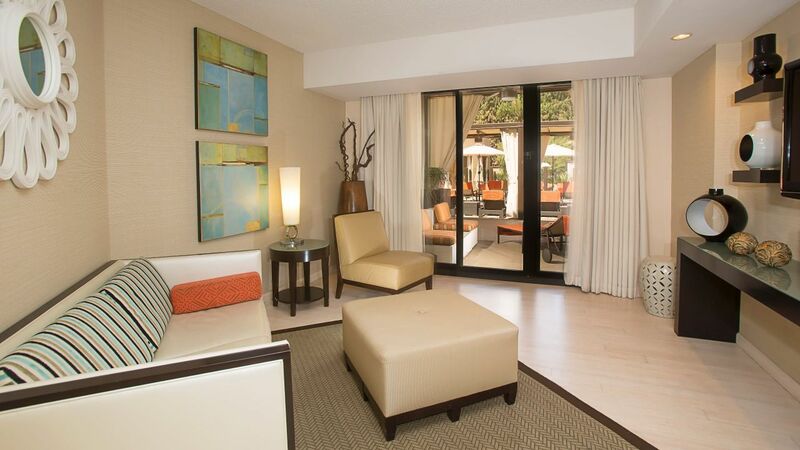 Indulge in our double unit with two Hyatt Grand Beds® and a beautiful view from the balcony overlooking our pool. 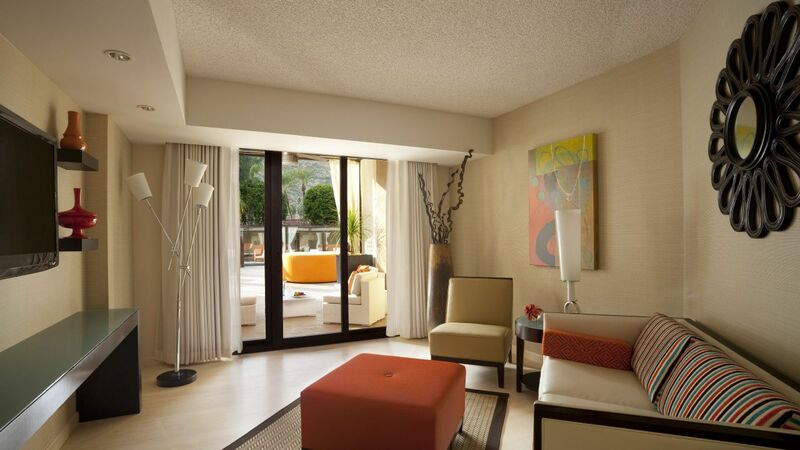 This spacious suite comes with a separate bedroom and two double Hyatt Grand Beds® along with spectacular views of Palm Springs, California. 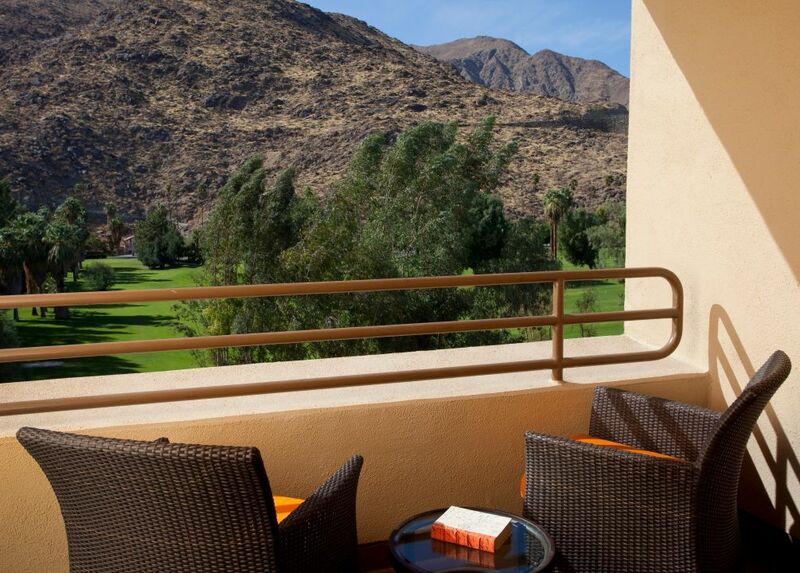 This unit displays the San Jacinto Mountains from a balcony. Enjoy a plush king-sized Hyatt Grand Bed® and KenetMD™ bath products. Our Pool View King offers a sweeping panorama of our outdoor swimming pool and vibrant cabanas. Sink into a soft king-sized Hyatt Grand Bed®. The King City View Suite boasts views of both the mountains and city, along with extra guestroom space and a king Hyatt Grand Bed®. 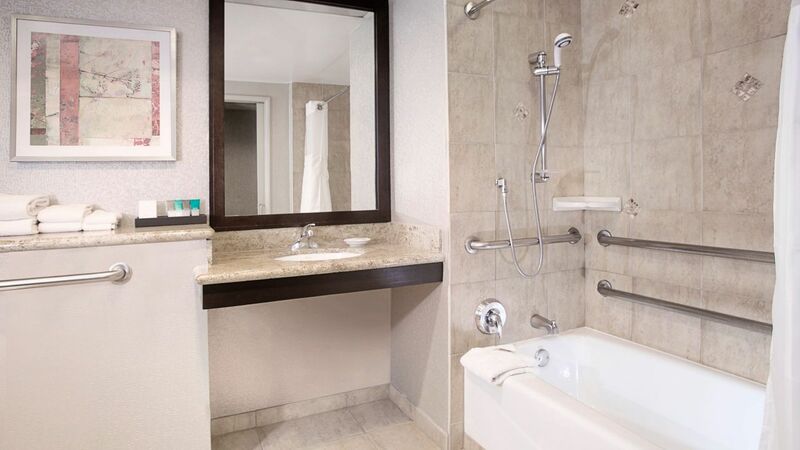 This ADA-compliant suite features one king-sized Hyatt Grand Bed®, ornate bath items with a roll-in shower and a separate living area. The King ADA Tub Suite includes a king-sized Hyatt Grand Bed®, tasteful bath products, an accessible tub and convenient ADA amenities. 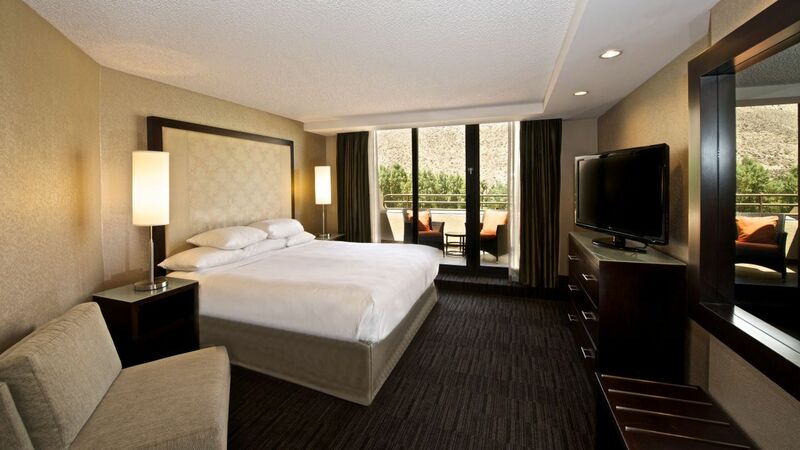 Our double double offers two double Hyatt Grand Beds® and warm décor for a peaceful night of sleep. 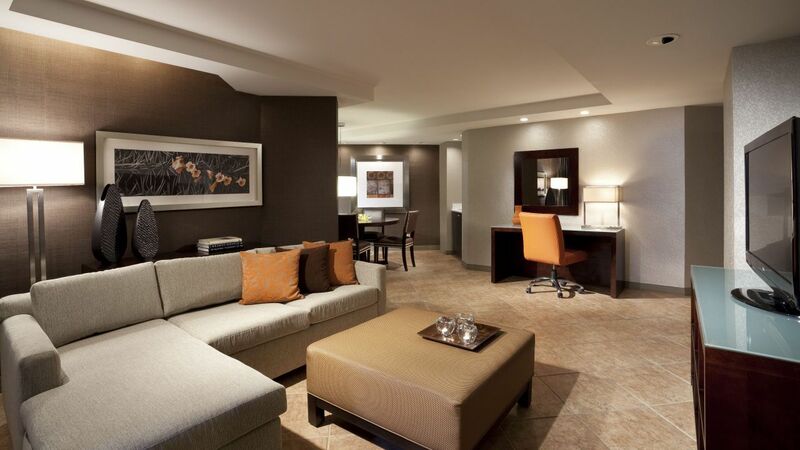 Enjoy spacious accommodations and modern amenities like a 42” LCD TV and coffeemaker.